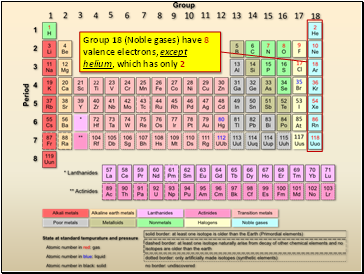 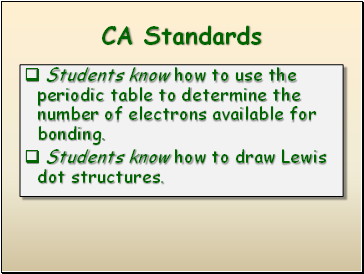 Students know how to use the periodic table to determine the number of electrons available for bonding. 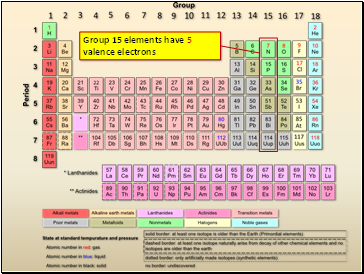 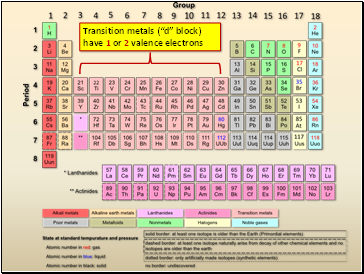 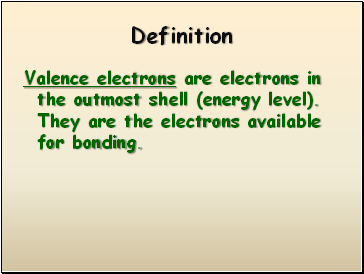 Valence electrons are electrons in the outmost shell (energy level). 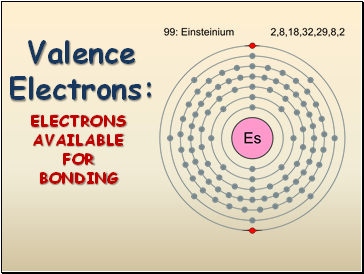 They are the electrons available for bonding. 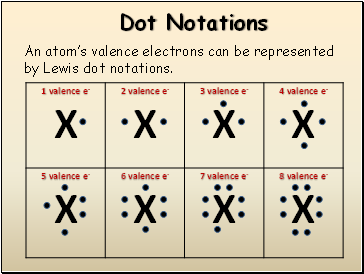 An atom’s valence electrons can be represented by Lewis dot notations. 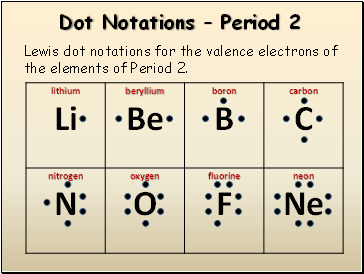 Lewis dot notations for the valence electrons of the elements of Period 2.